Please look to connect with me on instagram (@longtall_sallie) as I rarely check this site anymore. I'm always looking for new projects with a different prospective. So if you've got some creative ideas, let's get together and shoot. 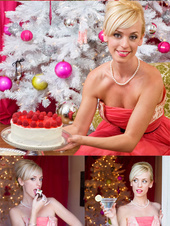 I do require a MUA, but we can always split the cost to get great photos! I hereby promise not to flake or arrive with a diva attitude. I will come prepared, and do my best to make you laugh. I love the creativity of this field and need it to balance out my inner science geek. I have over 20 wigs we can shoot with (you'll see some in the 2017 photos) so let me know if you have any special requests. Worked with SallieLou? Share your experience and become verified! Absolutely, a great start on your modeling portfolio!! to see more. All around put together very nicely. auston - owner/photographer - feel free to visit my websites & follow for NEW work! Thanks for accepting my friend request and for taking a look at my port! I am finally back in Houston and now accepting bookings. I am currently doing specials so if you would be interested in working together just send me a message!